As Virginia summer fishing nears an end, anglers begin gearing up for Fall spot and croaker runs. 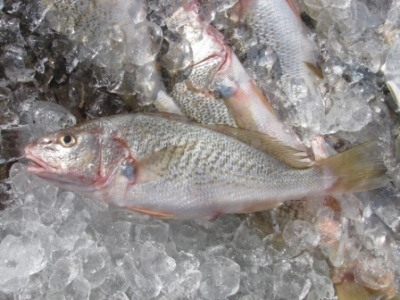 Spot and croaker are among the most sought after fish in Virginia during the early fall. Both species are known for their habit of schooling up and feeding heavily before moving into the ocean for the winter. 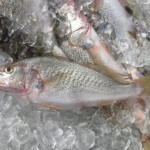 Spot and croaker fishing is easy; fishermen need only a sensitive rod and reel in good condition. Tackle is basic, consisting of top and bottom rigs and baits such as bloodworms, squid strips, pieces of shrimp, cut peeler crab, or one of the processed bait products that do not need to be kept cold. By late summer and early fall, piers and local fishing spots often experience excellent fishing for both species. As the season goes on, a larger class of spot arrive, known for their bronze or yellow coloring. Spot and croaker fishing often improves until hurricanes or Noreasters pass thru Virginia. Many anglers prefer the fall as the summer crowds have left and the temperatures are cooler. During the fall runs, spot and croaker are joined by bluefish, sea trout, kingfish, striped bass (rockfish), and others.